Last month, the Federal Communications Commission voted to reverse net neutrality regulations. The repeal means internet providers are one step closer to no longer being required to give consumers equal access to online content. But how do we know if carriers aren’t already violating net neutrality? 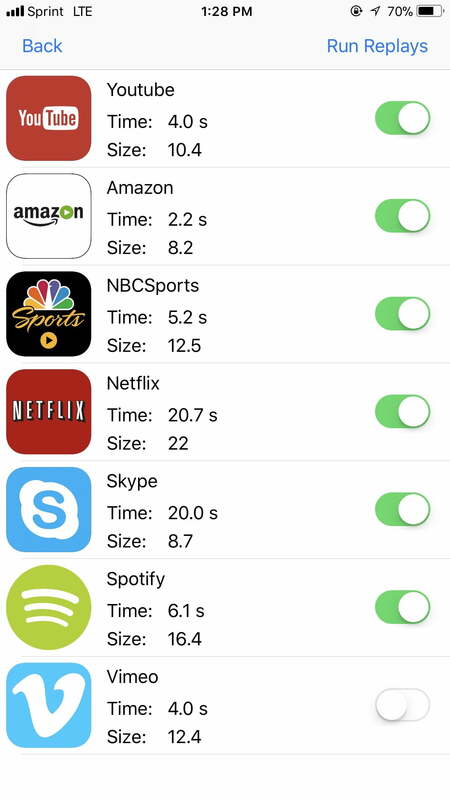 This week, we have an app that will help you to see the extent that your provider is slowing down or even speeding up certain apps. Wehe‘s goal is to let you know if your network provider is giving different service to different applications that you use on your phone. Developed by researchers from Northeastern University and The University of Massachusetts Amherst, it’s currently available for download on both iOS and Android. Companies like Google or Netflix won’t simply allow researchers to run arbitrary tests on their infrastructure. 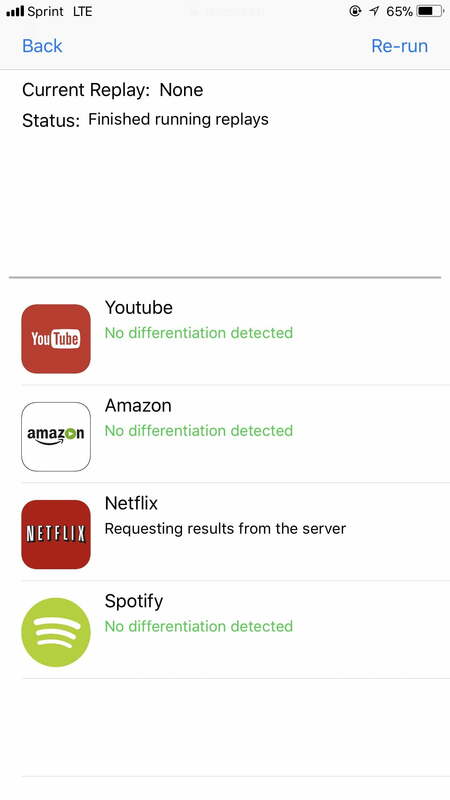 So, Wehe records the network traffic that the apps (Youtube, Netflix, Amazon, and more) generate when people are using those apps, and then uses its own servers to simulate what is happening. When running tests through the app, Wehe replays the traffic that it recorded pertaining to a specific app and sends it in the exact same way. This will measure the amount of throughputs it gets — which in this case is megabits per second. It then runs a test to see what your network provider is giving you if it’s an app it doesn’t recognize, by scrambling up the megabits in the network traffic. It then measures the throughput when sending the exact same amount of data in the exact same way. By comparing these two tests, you’re able to see if your provider is throttling based specifically on the content. Users tend to get faster download speeds when the app sends traffic that is scrambled versus when providers are able to actually recognize what’s being sent. Wehe specifically looks at applications that do video streaming and audio streaming. This is because these apps are bandwidth-intensive and could compete with a provider’s core business such as telephone calls — which is why an app like Skype is included as a test you can run. 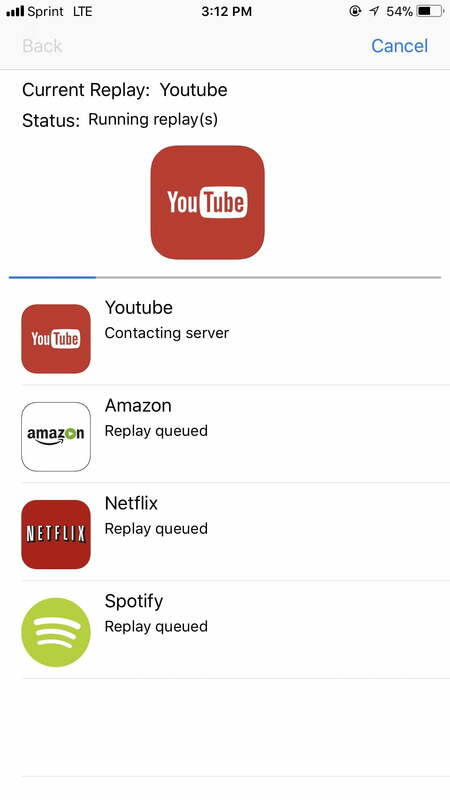 Currently, the app only includes Amazon, YouTube, NBCSports, Netflix, Skype, Spotify, and Vimeo. But going forward, there will be more to choose from. While there is the option of running network traffic from its own users to add to the library of apps available, Wehe wants to stay extremely privacy-conscious, since the traffic could contain personal information. Instead, Choffnes explained the app will use its own network traffic on its own servers which will take some time. 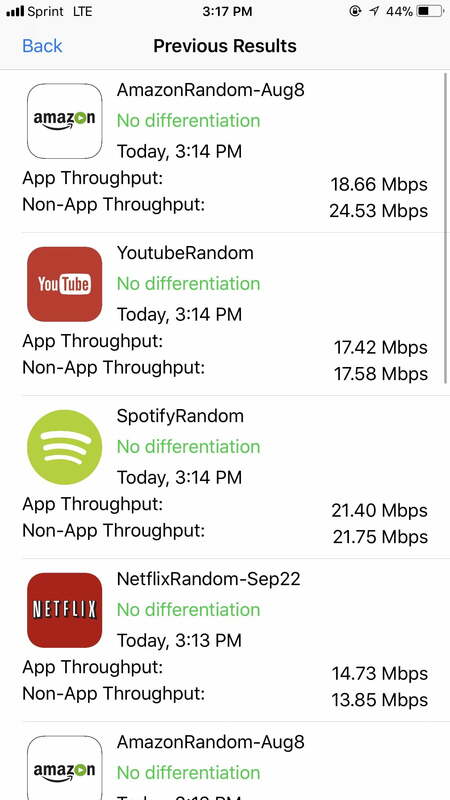 Under the “Previous Results” tab, you can see more information, such as exactly how many megabits per second your carrier streamed each app. 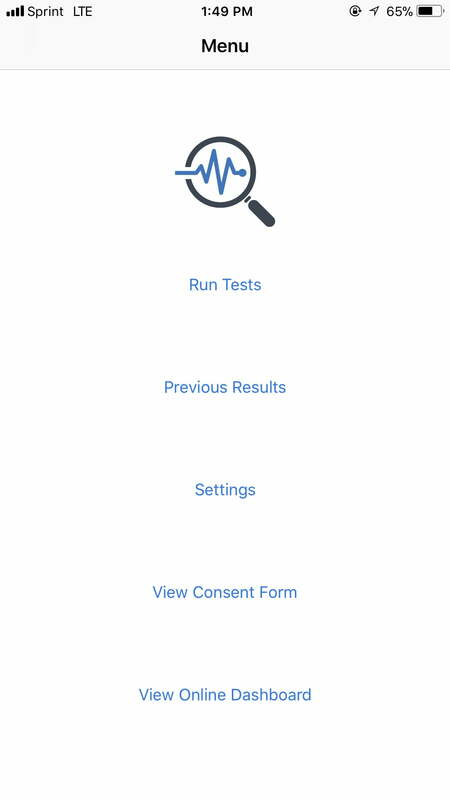 This is also where your history of tests will be stored in case you want to refer back to it later on. The app offers an online dashboard to view as well. This is where you can see a collection of Wehe’s results from other users — which are all anonymous. Using the dashboard, you can see what other users received for specific apps under the same network provider.